Home > Other Search Topics > Social Search > UserInteraction Schema For SEO & Social? A WebmasterWorld thread has a webmaster who asked if Google will give him a boost because one piece of his content on his site hit over 1,000 Facebook likes. It is one of those weird questions that makes you nod your head sideways. Why? 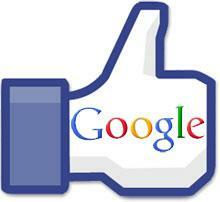 (1) Google said they don't use Facebook likes or even Google+s directly in their ranking algorithm. Heck, Google doesn't have access to Facebook data for the most part. (2) However, if you really had content that was organically loved and liked by so many people. It is natural for a lot of people to link to it and share it and thus Google will pick up on other signals and likely rank that content well. That being said, should you better markup your pages so Google can easily pick up the Facebook Likes on a specific page? Of course, you need a way to automate this and not manually enter this data into your HTML code. So you need a good social tracking system or integrate directly with each API from Twitter, Google+, Facebook, Foursquare, Analytics, etc. Do you add this schema data to your site? If not, will you?